Be the Light takes readers to a magical place where secrets are revealed and questions answered � like �Why am I here?� �What is my purpose?� �How can I live an inspiring life?� Travel along to the Kingdom of the Light with Dr. Karen Campten who asks these age-old questions and uncovers glimpses of meaning in forgotten music, a light-filled bouquet of flowers, and the company of her oldest friends, her beloved cousin, and the grandchildren of the next generation. Liz Crisostomo offers a compelling and inspiring story where each seeker and reader will no doubt recognize something of themselves in Karen, Brian, Lola, Trevor, Shasha, their friends and family who are woven throughout her story. You will be moved by their strength and courage, stirred by their laughter, and become sympathetic to their pain and sadness. By getting to know the characters Liz has so lovingly created, you will begin to understand why you have the talents you have, where they�ve come from, and why you were blessed with these particular gifts. There is a magical kingdom, not far from here. It is ruled by a very powerful and wise King, along with a very kind and gentle Queen. The King and Queen have two children, Prince Branigi and his younger sister, Princess Karicoma, whom the King lovingly nicknamed PK. Soon the Princess was known throughout the kingdom as PK. Everywhere you look in this place, you see lights of different colors. There are thousands of lights not seen anywhere else. Everyone and everything is filled and surrounded by a soft glow of their own special color of light. The people in this kingdom are called Light Beings and this place is called the Kingdom of Light. It is from these lights that the magical power comes. Some beings are surrounded by just one color of light, some have two or more. 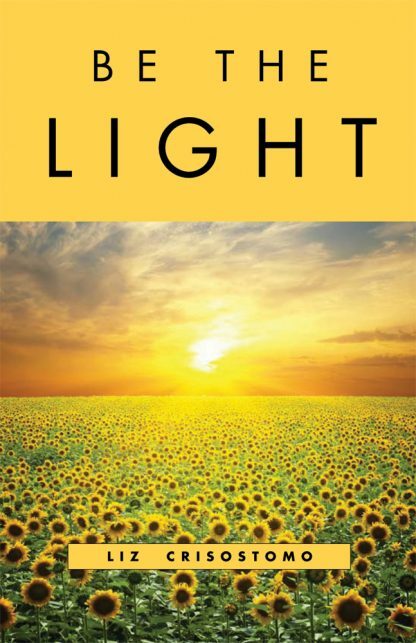 Through Liz�s evocative fable between time and space and the realms beyond, you will be reminded that you are not alone on this journey, and you will discover how magnificent, profound, and utterly simple it is that each of us is the light we seek. Liz Crisostomo is from the island of Guam and presently lives in Southern California. A student of the Holmes Institute of Higher Consciousness, she is a spiritual counselor and life coach as well as a holistic health practitioner. A grandmother of seven and a Religious Science Practitioner, she spends most of her days learning, speaking, conducting workshops and teaching the spiritual principles of daily living. She started a women�s group called Women of Wisdom, a gathering of women who come together to explore and embrace the divine feminine within. She inspires and empowers women to connect to the light of their feminine divinity and bring their light into their homes, communities, and out into the world. Liz�s published works include the poem, Waterways, The Colors of Life, The International Literary of Poetry, 2003, and several periodicals and magazines including Soul Searching, Galaide, A Guam Communications Network Publication, 2003.